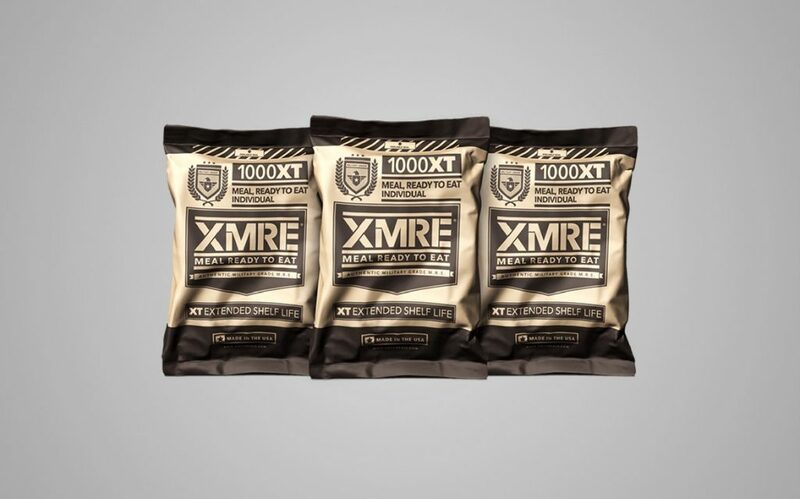 If you’re in the market for meals ready to eat or MREs as they’re more frequently called, you’ll want to know how to find them on sale. 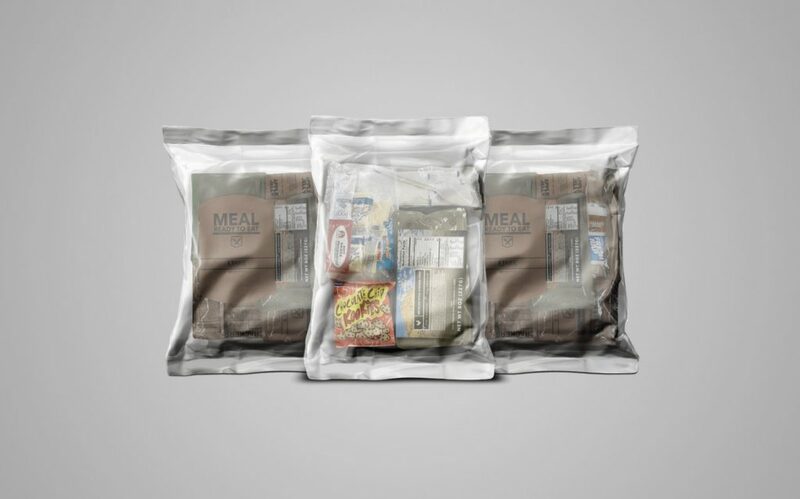 MREs were originally developed for the United States military. They were designed to give soldiers and troops out in the field a hot and healthy meal regardless of the conditions they found themselves in. Everything that the troops or soldiers needed were in the prepackaged meals including the condiments and the utensils. They would have a flameless rations heater that came with the package and when activated would heat the meal up within just a few minutes allowing for a hot healthy meal that would sustain the troops while they were out on guard duty or other activities when it wasn’t practical to have a home-cooked meal. This way, all of the soldiers were able to have a hot and healthy meal. It was a great way for the military to take care of their troops. Over the course of time, the civilians discovered the meals ready to eat and wanted to use them to help them stockpile food supplies for emergencies. From those who prefer to store foods for emergencies to church groups and other prepper groups they soon caught on and were a hit. While the Federal government wouldn’t sell these directly to the public, manufacturers soon found out and civilian meals ready to eat or MREs were born. It didn’t take long for these to catch on and for people to begin stocking up on them in an effort to be prepared for any emergency event. As convenient as these meals are, unfortunately, these meals can be very expensive and really put a dent in a budget. Thanks to the cost, many people can’t afford them and wish that they could find a way to purchase them. In an effort to help avoid this, people are always seeking ways that they can save as much as possible on such meals so we’ve taken the time to compile some ways to help save money on meals ready to eat. Here are some ways to find them on sale or with steep discounts and coupons. You want to mix and match these deals as much as possible to maximize your savings potential for meals ready to eat. To begin with, consider where you’re purchasing your meals ready to eat. For each location, we’ve listed a few ideas to help you save as much money as possible. Not all ways will work for everyone but you should be able to mix and match several to capitalize on your savings. Again, don’t be afraid to mix and match where you’re purchasing your meals ready to eat. You may find great deals on different sites at different times so explore all of your options and you’ll be able to maximize your savings. There are many great military surplus stores around. These stores often carry Meals ready to eat. You can often find these at great deals and save a small fortune by purchasing them here. Be aware that you’ll want to check the manufacturer date when you buy here, your goal is to buy meals ready to eat that are within the first 5 years of the manufacturer date. Although these are shelf stable for up to 25 years, they are freshest in the first 5 years and will retain their nutritional value if they’re consumed within that time frame. You can find out how to read the manufacturer date on the end seal of the packaging online or on a video. Many of the manufacturer’s sites will walk you through how to read the manufacturer date. Learn how to read these before you begin your search and you’ll be able to get the freshest meals ready to eat every time. One additional benefit to purchasing from a military surplus store is that they are sometimes willing to negotiate on the price. If you offer to purchase an entire case, for example, they may be willing to reduce the price. It never hurts to ask and remember, if they tell you “no” you can still purchase them at a discount of what they would be to purchase directly from the manufacturer. Not all military surplus stores are the same and some of them won’t carry meals ready to eat. You can call ahead and ask or go in and find out. However, most of them do sell them and you’ll like the variety that they carry. When the military has overestimated what they need for a deployment they will often unload the excess in stores like this so you’ve got a pretty good chance of finding some in this type of location. Many of the big box stores will also carry meals ready to eat. Check in the camping section first and if you don’t find them there you can always check in the “large family” section of the grocery department. Typically, however, you’ll find them readily available in the camping section. Meals ready to eat are an ideal camping food and more and more stores that carry camping equipment are beginning to carry them for their customers. Keep in mind that not all camping sections are the same but you’ll likely find them here. As an added bonus to big box stores, many of them run specials and sales during seasonal events. Sometimes you can find these deals at steep discounts so be sure to keep an eye out, especially in the spring. Big box stores also have closeouts, buy one get one deal, and often times they will also give you a percentage off on everything in the cart. These sales can really add up and save you a lot of money so be sure to watch for them. If you see advertising starting up for camping, be sure to begin your watch in the camping section of every store that you enter. There are a variety of online auctions sites. All you have to do to find these is enter the search term “online auction” into your favorite search engine and wait and see what comes up. You’ll be amazed at how many of these sites have meals ready to eat. Once you get to the various online auction sites search camping gear, meals ready to eat, MREs, and camping food to find the great deals. Be aware that not all deals are what they appear to be. Watch for shipping charges that can put your order over the top as well as outdated manufacturers dates (those over five years) and foods that aren’t what you’re looking for. Check seller ratings and more to ensure that you’re really getting a good deal here. Once you find a good source, watch for sales, sign up for newsletters and coupons and if need be, combine your orders with others so that you’ll get free or lower cost shipping. Often sellers will give you free shipping when you spend more than $49 on your order. There are a variety of manufacturers that offer meals ready to eat for sale. Keep in mind that some are in your home state and when you’re buying from the state that you’re in, the shipping costs are lower. Some states have no food tax and others will tax you so keep an eye on costs by learning to watch for these tricks as well. Manufacturer sites have great deals on them. Sign up for newsletters and deals when you get to the sites. You’ll be emailed when they have deals or coupons available. Keep in mind that many of these sites have a monthly special. These monthly specials will have one or more of their meals ready to eat on discount each month. You can really stock up by purchasing these products when they’re on sale each month. You can also get samples and other deals that will help you to save a lot of money when you’re buying your meals ready to eat. Not all flavors will be to your liking so it’s always wise to remember to try them first. If you can find samples or trial sizes it’s a great way to get some that you enjoy and not buy entire cases of those that you don’t by accident. There are many prepper groups that will have deals where they get together as a group and buy large quantities of meals ready to eat for their members. Each member will pay a portion of the cost and by buying in such large quantities they’re able to pass the savings on to the consumers or prepper group members. These savings can really add up and in many cases, several cases of meals ready to eat may wind up free or at a fraction of the cost thanks to the savings. Groups like this will work together to have a safe place for their families and plenty of food stockpiled so that no one has to go hungry should there ever be a cataclysmic event. Not all prepper groups work the same so before joining make sure that you read the fine print and learn what they’re about, how they work and what your specific responsibilities will be if you do join. This is a great way to learn special techniques and to learn how to have plenty of food on hand for emergencies. Many church groups teach that members should have a one to seven-year food supply at the ready at all times. Members often get together and purchase large quantities of such foods to help offset their food budget and save by purchasing in bulk. There are many discounts to be had when buying in large groups and numbers. Keep in mind that not all of these groups work the same either so you’ll want to again read the fine print and understand how the program works. Usually, you’ll be required to put in X amount of time per week and in return, you’ll be investing in your families future food supplies. Preparedness is part of the way of life for many of these groups and you’ll learn how to prepare hot and healthy meals with meals ready to eat. Keep in mind that you’ll want to ensure that they have the flameless rations heater in them as well as the utensils and the condiments. Read what you’re buying and know what the contents are before you invest your hard-earned money. Not all meals ready to eat are the same. Many sporting goods stores will carry meals ready to eat for their camping customers. Many camping customers hoard their gift cards waiting for camping season so that they can stock up on their favorite camping supplies. Put the two together and you have the ideal method to stock up on your favorite meals ready to eat. You can use these gift cards and coupons on any item in the store so it’s a great way to get some free food for your family during an emergency. Meals ready to eat are ideal camping foods as they are easy to pack and lightweight so you won’t have to worry about them taking up a lot of space or weighing a lot. You can use them in backpacks, place them in recreation vehicles and you can stuff them in nooks and crannies easily so that you’ll always have some at the ready for an emergency or for your next camping trip. You’ll love the convenience of how easy they are to prepare. In most cases, you just add water and activate the flameless rations heater and wait a few minutes and you have a hot and ready meal. As an added bonus, meals ready to eat also have great snack menus available and many include beverages that include coffee, tea, hot cocoa, juice, and more. If you’re trying to save money, you’ve likely run across some bulk buying groups that buy products in bulk and then divide them up among their members. Some of these groups will order supplies of meals ready to eat that you can take advantage of as well. Keep in mind that not all of them will buy food products, so be sure to ask plenty of questions first. If they do buy food products be sure to get in on the deals, you could save a small fortune. Buying in bulk is a great way to stock up on supplies for any event. If you live in a region of the country that experiences power outages or storms you may wish to have an emergency food supply at the ready for such events. Keep in mind that you’ll have to invest some time into your efforts and be a part of the group to participate, however, that’s a small price to pay to be ready for an emergency and be able to feed your family. Taking advantage of these discounts is a huge saving for anyone. The more you work with such groups the more you’ll learn how to find the deals. It can take some research, but there are some great deals out there that will net you some super savings if you just watch for them. There are many websites that offer samples and trials for steep discounts. Not all of these work the same so vary your search terms until you find one you like. 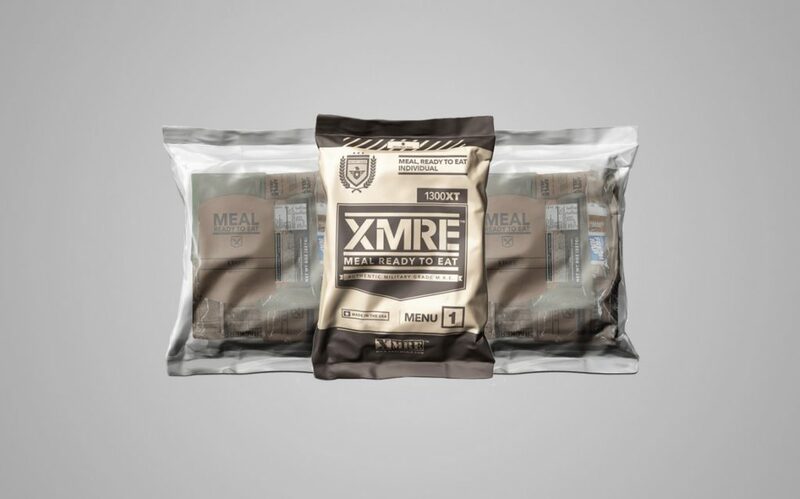 Try “sample meals ready to eat” or “sample MREs” to get yourself started. You’ll be surprised at how low they’ll go to get you hooked on these great meals. Once you’ve gotten the samples, they may or may not have some deals that allow you to purchase more and save even more on their bulk buys. Watch for these deals and sign up for them to send you notifications in your email so that you can be ready to buy them when they’re available. You may not like all of the sample flavors, but once you find some that you do like you’ll be able to cash in on the savings. Keep track of the savings cycles. Most stores or businesses have a six to an eight-week savings cycle. This means that the products that you love will go on sale routinely every six to eight weeks. Once you figure out what their savings cycle is you can begin to plot your savings each and every month. Make it a routine habit to cruise through the camping area of any stores that sell camping equipment. Sometimes there are unadvertised sales that you may not even be aware of. Be sure to ask sales associates if they know if a specific product (in this case your meals ready to eat) will be going on sale in the near future. Often sales employees do have a bit of intel on such events and can tell you that there is an upcoming sale. Get the dates and make a note to return to the store on that date to take advantage of such sales events. Find out what flavors and varieties of meals ready to eat your family prefers. Once you know, you can watch for deals on all of your favorites and take advantage of these. Not all sales are going to be advertised so you’ll want to learn how to keep track of sales. You may wish to set up a spreadsheet for your favorite stores or just check back often. Regardless of your preferred method, you’re sure to appreciate the savings. By mixing and matching more than one of the above-mentioned methods, you’re sure to be able to maximize your savings and be able to save even more. It may take a bit of effort in the beginning but once you catch on to the ones that have the best deals you’ll be able to plan ahead and focus on what you want to buy for your family for food storage. There are many great benefits to meals ready to eat. These foods are an ideal food source and have plenty of nutrition. They have from 600 to 3000 calories per meal (depending on the type and whether or not they’re an entre or a snack) you’re sure to find something for everyone on your list. They’re easy to store since they’re dehydrated and lightweight and the packaging will last for up to 25 years. Since they’re so easy to store you can store them just about anywhere. Many people keep some in their car, some in their desk at work, some in the camping gear, and the rest in their home or an emergency bug out location. By spreading out what you do have you’re sure to have something to eat no matter where you are if there is an emergency. Not all emergencies are able to be predicted so it’s always better to be safe than to be sorry. Now that you understand all of the ins and outs of meals ready to eat, you can mix and match the deals according to what will work best for you and your needs. Not all methods are going to work for everyone and that’s okay. Just remember to take what works and run with it and leave the rest behind and you’ll do great. Meals ready to eat are an ideal way to stock up on food for your emergency food supply. They’re easy to store and an ideal solution when you’re in a hurry and just need a healthy meal. Healthy eating doesn’t have to cost a fortune and neither do your meals ready to eat. They beat convenience food restaurants hands down for having a healthy meal at the ready for you and your family. Plus, you can let everyone have their favorite flavor without having to dirty up a lot of dishes in the kitchen.